Hi friends! Whew! It’s been a while since I last sat down to write a blog post… You can always follow along on Instagram Stories to see what I’m up to! It’s been a busy, busy time over here with raising two boys under two, wrapping up Summer, and gearing up for a fun-filled October/November of Fall family sessions (I have 23 sessions in October!!). My inbox has been buzzing non-stop for 2019 inquiries of expecting parents — SO exciting!! Speaking of exciting!!! I have some news! 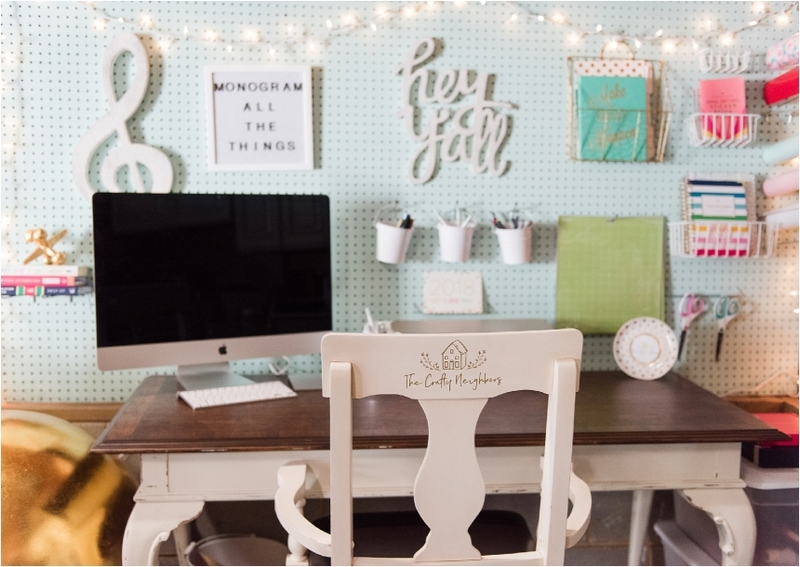 It’s ironic that my last blog post was about my Craft Corner (read about it here). It’s my new favorite girly space and I’ve spent many, many late nights in here dreaming up some BHAGS (big, hairy, audacious goals!!!). It feels SO good to officially introduce you to The Crafty Neighbors, LLC! Me and my fellow boy mom-preneur, bestie, and next door neighbor are now proud co-owners in this new venture and we couldn’t be more excited! We’re homemade craft makers of personalized gifts to embellish, empower, and elicit joy for you and loved ones. Just to clarify, I’m still fully invested with my heart, time, and energy with Allison Shumate Photography. Documenting motherhood and growing families will always be an honor of mine. Now that Michael is in preschool, I have a better handle on our family’s weekly routine including office hours, family time, shooting/culling/editing/delivering session images, and offering the best experience I possibly can to my clients. This new venture is a new way for me to explore and learn new things, bring joy to others, and is giving me some great gift ideas for future ASP Family clients!